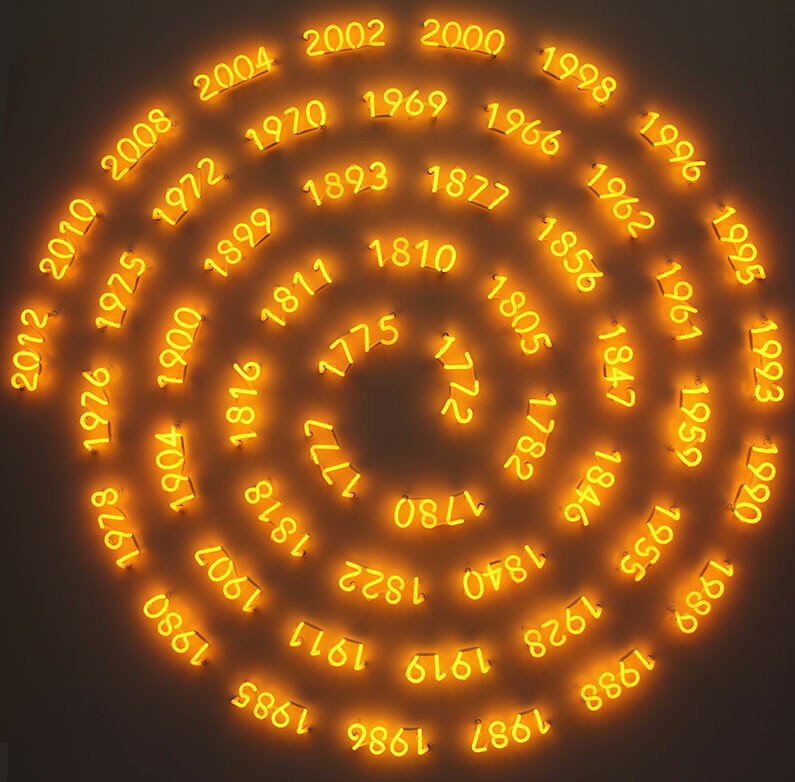 Digitally controlled neon sculpture commissioned by Veuve Clicquot, Rheims, France, presented at Hong Kong International Art Fair, 17 – 20 May 2012. 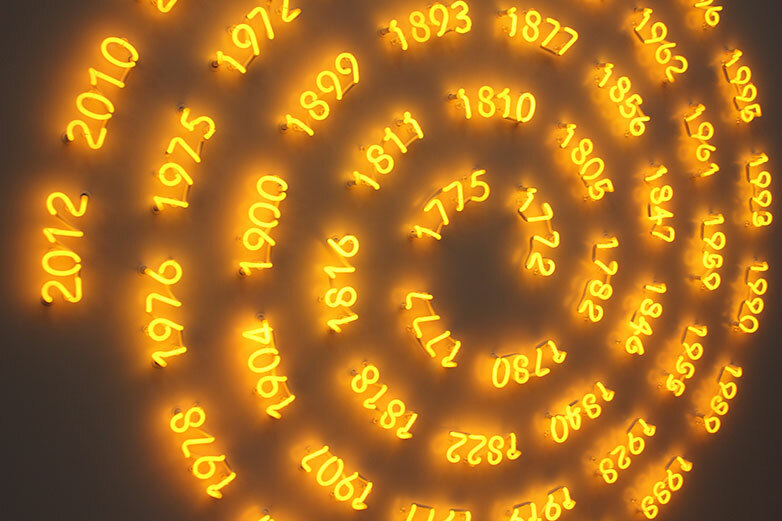 The significant dates in the history of the Champagne house, principally the vintage years, beginning with it’s foundation in 1772. 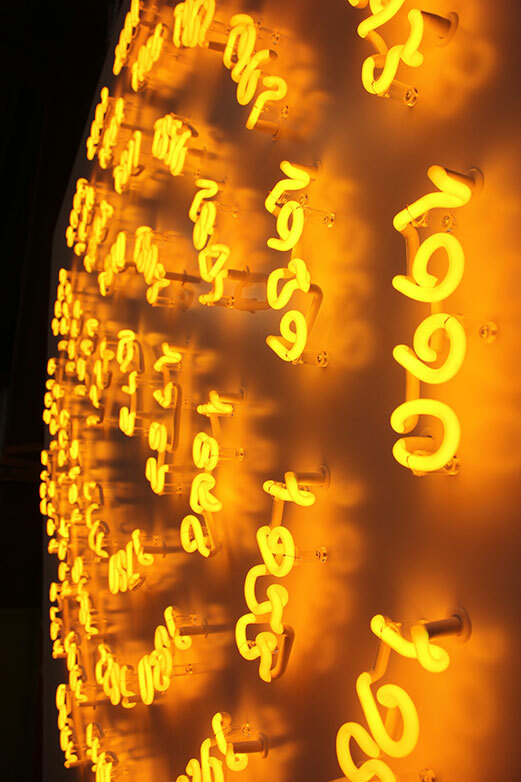 Neon and associated electronic components with artist’s data programme mounted on aluminium panel and steel frame.